After I left Canada I learned that I needed to have a travel visa for Brazil. After some research I decided to take advantage of the Brazilian Embassy in Bogotá to take care of the paperwork. So first thing’s first. I headed to the Brazilian embassy to surrender my passport for two weeks! It feels weird being in a foreign country without my passport, but it’s in good hands. I spent my first few nights in a wicked hostel in La Candelaria district called Fernweh Photography Hostel. The owners are photographers and as such have some amazing photos hanging up all over the hostel. 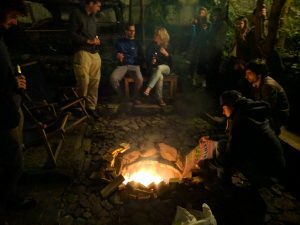 The place has quite the hippy vibe too, with an amazing fire pit in the backyard to stay warm on those cold Bogotá nights. 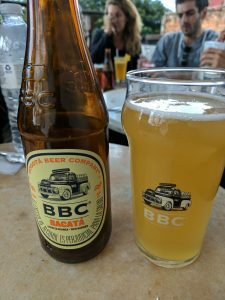 This is where I was first introduced to the Bogotá Beer Company (BBC). A large successful craft beer company that names their brews after neighbourhoods in the city. By far their best drink is a honey ale called Cajicá. Light and perfect after spending the day walking around the city. For dinner, I’d usually gravitate to something heavier such as their porter named Chapinero. La Candelaria is the oldest part of Bogotá and in order to fully appreciate it’s history I went on an excellent graffiti walking tour. For $25,000COP and 2.5 hours you get to learn everything there is about street art in the city. Including how Justin Bieber sparked a revolution in the scene by having an impromptu painting session on Calle 26, one of Bogotás busiest streets. 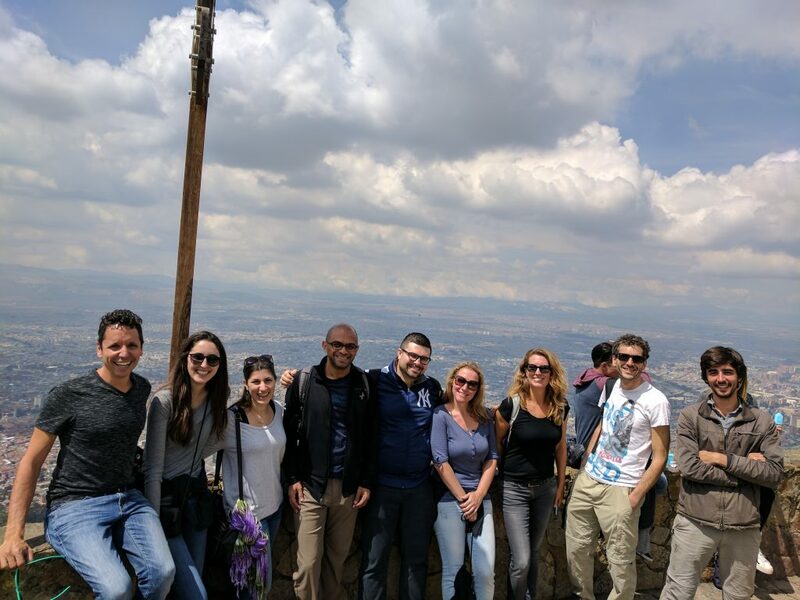 Another not to miss sight, is to head up to Monserrate, rising up 3,150m above sea level. There are three ways to ascend: By funicular, cable car, or by foot. Unfortunately, due to land slides, the foot trail was closed. So the gang decided to take the funicular up, and the cable car down. My first few days in the city had been awesome. 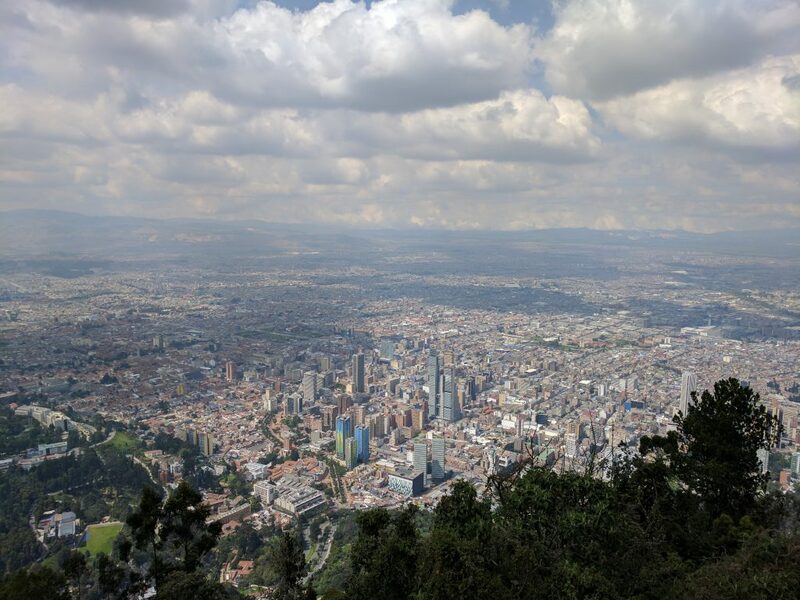 I quickly felt at ease with the culture and getting around the city by foot was easy and safe. I was a little nervous about something looming though: my first ever couch surfing experience. Earlier in the week Mónica reached out to me saying that she would love to host me for a few days. We agreed to a date and time and I started assuming the worst. What if this was some elaborate ploy to lure me to her apartment, where she’d use the “worlds scariest drug” on me to drain my bank account of all my money and leave me for dead? Scopolamine (aka: Devil’s Breath), according to wikipedia: “affects the ability of a person to resist criminal aggression”. In other words, you say “yes” to anything and everything. I told my predicament to other members of the hostel for their feedback. “You’re meeting her at her house, and not a public place?” Someone asked. “Yes” I replied. It didn’t matter where we initially met, the intention was to go back to her place, so the criminals can be already be waiting there anyway. I’d just be delaying the inevitable by meeting someplace else first. 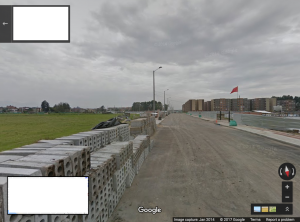 “Put her address in google maps and check out the street view!” I heard. Ohh! Good idea. Yup! An Empty lot. This is it, there is where they are going to murder me! This tiny girl runs out with a huge smile on her face. Yup! That’s her! “Gracias, Señor” I quip to the driver and get out while yelling “Hola!” to Mónica.